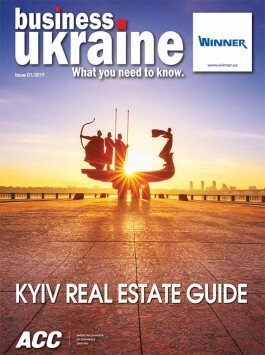 Ever since the summer 2015 appointment of former Georgian President Mikheil Saakashvili as Governor of Odesa Oblast, the Ukrainian Black Sea region has emerged as a focus of the post-revolutionary reform impulse currently dominating the Ukrainian political landscape. Governor Saakashvili’s strong reformist credentials have led many to predict that Odesa will serve as a regional model for the broader reform of the Ukrainian economy. These expectations have thrust Odesa to the top of the Ukrainian investment agenda, with domestic and international businesses eyeing the port city and its environs as an attractive option in a time of political and economic uncertainty. Over the past few months, Odesa has become an essential port of call during official visits to Ukraine and a venue for regular business forums and investor conferences. 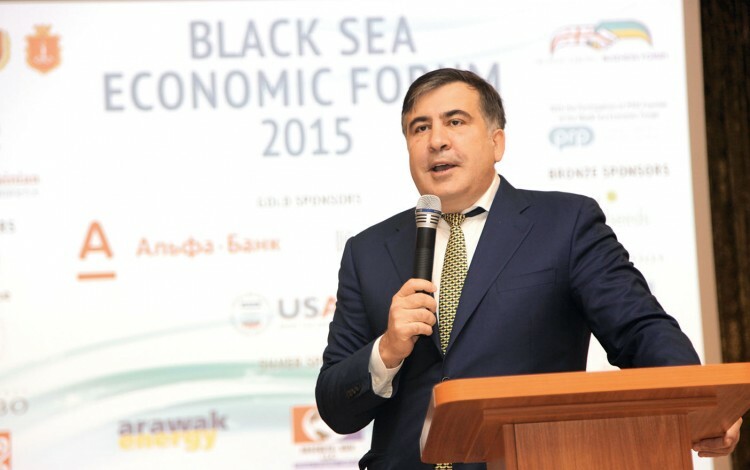 The Black Sea Economic Forum, which took place in mid-October, was the largest international investment gathering to take place in the Ukrainian port city since the appointment of Governor Saakashvili. Over 400 participants from a diverse range of businesses and international organisations attended the three-day forum, reflecting the wide range of investment opportunities Odesa has to offer. The event, which was organised by the Black Sea Development Foundation and the British Ukrainian Chamber of Commerce, offered expert commentary on issues including the development of Odesa’s strategically important port facilities, the prospects for the region’s agricultural industry, and the opportunities presented by Odesa’s still largely untapped international tourism potential. The forum demonstrated that, by eliminating customs delays using E-Government to clear shipments in hours rather than weeks as Odesa Governor Saakashvili has proposed, Odesa and Ukraine’s other Black Sea ports can become the quickest transit point for container shipping between Asia and Central and Eastern Europe. This would result in greatly expanded shipping through Odesa and other Ukrainian ports. The introduction of electronic customs procedures would also raise the prospect of virtually eliminating theft and corruption at the port, which has been a long-term problem. Ghinea Arminio Iorga, who is in charge of strategic and policy planning at the Black Sea Trade and Development Bank, added that the Ukrainian Black Sea region ports have great potential. However, in response to the current decline in world trade, Ukraine’s ports need to reduce their customs fees to the levels charged by Romanian, Bulgarian and Turkish ports if they wish to be internationally competitive. On this basis, Odesa and the other Ukrainian ports have all the natural geographic advantages to succeed and are well placed to compete and again rank among Europe’s leading ports. Container shipping from Asia would be able to gain convenient access to Eastern and Central European markets via Odesa, and could take advantage of Ukraine’s land borders with four EU member states. If Ukraine’s Black Sea ports become more attractive to international container shipping, Ukrainian freight rail capacity will need to be greatly increased, which in Ukraine’s current difficult financial circumstances can best be achieved by developing private freight rail capacity between Ukraine’s ports and Central and Eastern Europe. In addition, more transhipment container facilities will be needed to move containers between the Ukrainian and Central European gauge railway cars at the borders of Ukraine with Poland and with Romania. These major infrastructure issues will need to be addressed if Odesa is to take full advantage of its geographical appeal. A range of international experts at the forum outlined how agricultural output in southern Ukraine could increase by over 400% via the development of more efficient irrigation infrastructure. Increasingly dry conditions in Ukraine due to climate change have served to create challenges and opportunities for the agriculture business. While southern Ukraine could theoretically become the ‘California of Europe’ because the dry conditions in the region are ideal for harvesting crops, there also needs to be adequate water supply, which requires much greater irrigation infrastructure. Unlike southern California, Ukraine has the advantage of numerous massive rivers providing essentially unlimited water that could be used for irrigation purposes. However, the existing irrigation system in most of southern Ukraine dates back to Soviet times and has fallen into despair. It needs to be modernized and greatly extended to cope with expanding future demand. Farms and commercial banks can assist in the financial implementation of such infrastructure programs, but to do so quickly and effectively requires support from the World Bank and the IFC, as well as other international financial institutions. If Odesa region is able to secure such support, southern Ukraine should prosper. Odesa welcomed a record number of tourists in 2015 and the Ukrainian port city is looking to build on this success. The potential for Odesa and the rest of Ukraine to develop a much greater tourism industry was discussed at the forum by Ivan Liptuga, Head of the Tourism Development Department of the Ministry of Economic Development and Trade of Ukraine. As Odesa seeks to attract new visitors, particular attention needs to be paid to bringing more cruise liners to the Black Sea region. Experts believe Odesa should focus on becoming a standard destination on all Eastern Mediterranean and Black Sea cruises, joining the likes of Varna in Bulgaria, Constanta in Romania, and Georgia’s Batumi. As well as adding Odesa to international cruise liner routes, the city is also needs to attract a greater number of direct international flights to connect Odesa to cities across Europe and the Middle East. The city’s obvious tourism appeal was highlighted by the presence at the forum of representatives from a number of the world’s leading hospitality industry brands including the Hilton, Marriott, Radisson, and Wyndham hotel groups. This tourism potential will only increase if, as expected, Odesa becomes one of the focuses of a renewed Ukrainian gaming industry.